A large body of evidence has consistently supported the relationship between blood pressure (BP) levels and the risk of cardiovascular complications. A series of studies in the last decades have indicated that this risk may not only depend on the magnitude of the elevation of average BP levels per se but also on the presence of other associated conditions such as increased BP variability (BPV) or an increased BP load. This concept has been supported by a series of studies, showing that increasing values of BPV either in the short term (24 h), in the mid-term (day by day), or in the long term (visit to visit) may predict development, progression, and severity of cardiac, vascular, and renal organ damage, as well as cardiovascular events and mortality. Some evidence has also been provided showing that an increased BP load, i.e., the percentage of readings above threshold values set for daytime and nighttime on 24h ambulatory BP monitoring (ABPM), is associated with indices of subclinical organ damage and cardiovascular outcomes. Whether BPV and BP load might represent useful parameters complementing the quantification of average BP levels in clinical practice is still a matter of active discussion, however. 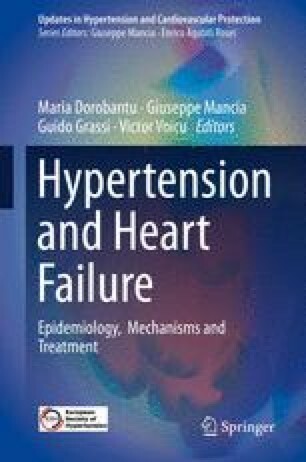 In its first part, this chapter will review the currently available data on BPV, including its mechanisms, the methodological aspects that should be considered for its assessment, and its relevance and significance for cardiovascular prognosis as well as its potential for application in clinical practice. In its second part, it will address the concept of BP load, discussing not only methodological issues related to its assessment but also its clinical relevance and whether a proper interpretation of ABPM should include its quantification in addition to average BP values and BPV.